Tammy Holt, Of Counsel - DURHAM, PITTARD & SPALDING L.L.P. Tammy Holt joined the firm in February 2019 as an experienced trial and appellate attorney. Tammy spent the first 10 years of her career handling all aspects of commercial litigation, first as an associate at Kemp Smith in El Paso, Texas and then as an associate and partner at Brown McCarroll in Dallas, Texas. During that time, Tammy represented clients in consumer DTPA cases, commercial disputes, products liability, and premises liability cases. Tammy utilized that trial experience to transition into pre-trial and trial support, including legal research and writing and state and federal court briefing, and briefing and arguing in Texas Courts of Appeals, when she joined Rose Walker in 2007. At Rose Walker, Tammy specialized in the research and writing necessary to support a robust trial team in both state and federal cases, by writing and arguing any motions necessary to advance or defend the case–including dispositive motions, expert challenges, evidentiary and discovery motions, and post-trial motions. During trial, Tammy provided trial support including preservation of error, trial briefs, and arguing the charge conference. Post-trial, Tammy also handled post-trial motions, and the appeals of cases to the Fort Worth and Houston’s Fourteenth Courts of Appeals. 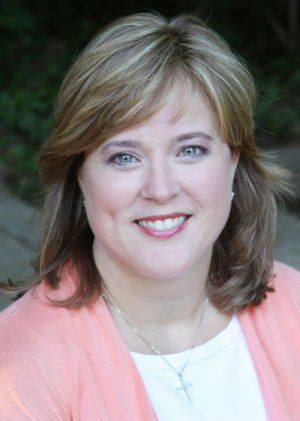 In 2013, Tammy had the opportunity to take over a solo practice and formed The Holt Law Firm, where she continued her briefing and appellate practice, both for her own docket as well as the dockets of other trial attorneys and law firms throughout Texas, while she also handled a very active, commercial litigation docket. Tammy graduated from Texas A&M in 1992, and The University of Texas School of Law in 1996. In law school, Tammy was a finalist in the Moot Court competition, and a member of the Board of Advocates, and the Legal Research Board, a service through which attorneys hired law students to provide research and briefing support. One of her judges in the Moot Court competition, Tom Harkness, a partner at Whitehurst, Harkness & Watson, hired Tammy to be a clerk during law school. Tammy was the Vice President of the El Paso Young Lawyers Association and a Judge and Organizer for the State-Wide High School Mock Trial Competition. She attended the National Institute of Trial Advocacy Trial Advocacy Course in 2004. Tammy has also served as a judge in the City of Coppell Teen Court and coordinated projects with Hearts & Hammers in Dallas. Tammy is licensed in Texas and New Mexico, as well as the United States District Courts for the Northern, Eastern, and Western Districts of Texas, and the U.S. Fifth Circuit Court of Appeals.